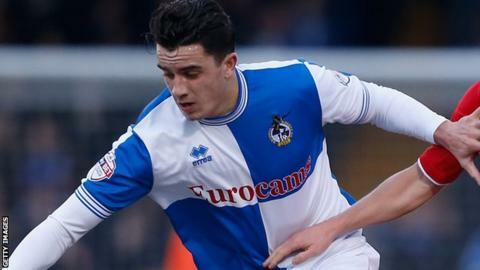 Plymouth Argyle have signed former Bristol Rovers midfielder Oliver Norburn on a one-year contract. The 21-year-old, who had been on trial at Home Park this summer, left Rovers by mutual consent in April having played 65 games and scored four goals. "He's got lots of things that I really like in his game," Argyle boss John Sheridan told the club website. "He's got a lovely range of passing; he's a good age; a good size; he's got all the attributes I am looking for." Norburn is Argyle's eighth signing this summer as the club look to push towards the League Two play-off places. Sheridan has been on the hunt for extra midfielders after captain Conor Hourihane left the club for Barnsley last month.